Val di Fiemme has a large carousel with 5 ski areas, which combined have 110 km of downhill slopes, 150 km of cross-country skiing prepared tracks, several snow parks, 4 ski kindergartens and ski schools in each mountain, and 1 mile of parabolic downhill. This is a family friendly resort with lots of initiatives to entertain the small people in the families. Val di Fiemme pistes are family friendly. Photo by Val di Fiemme. At the Latemar Ski Center, the main area of the carousel, with 49 km of pistes that connects the areas of Pampeago, Predazzo and Obereggen, the culinary tradition meets the design for a delightful gourmet break at Rifuguio Passo Feudo, with a panoramic room where now there is a top quality table service with a delicious menu with typical dishes of the area. The Rifugio Oberholz is accessible with the new Lanem telemix (a chondola –, which combines chairs and cabins on the same rope). The Rifugio Oberholz’ s design has three modern ski verandas that overlook down the ski slpopes towards South Tyrol, with local typical dishes of the area. In the Latemar ski Center the art gets in touch with nature, at the RespirArt park, where every season there are new entries of art sculptures. The most popular is one big frame sculpture where people stop for a ‘selfie’ with the striking Latemar Mountain group in the background. At the Bellamonte-Alpe Lusia ski area, the slopes touch the boundaries of the Paneveggio-Pale San Martino Natural Park and it is quick to get to 1,967 m altitude thanks to the modern and silent 3.0 cable car. With a capacity of 10 seats per cabin, it can also carry sledges. Its second stop is at the entrance of the Fraina track, of 2 km of length. Every descent in the Passo Rolle area offers a wonderful view of the Dolomites, which reminds you why Val di Fiemme is home of UNESCO World Heritage sites. In Alpe Cermis you can ski at night, every Wednesday and Fridays from 7.30 to 10.30 PM, along the Olimpia III run. And at the arrival station of the Alpe Cermis cable car, the new Restaurant Baita Granda and the lounge bar La Baita Tonda have an Alpine design with large windows and great views of the surroundings. The Fiemme-E-Motion Winter card is a passport offered to all those staying in a participating hotel in Val di Fiemme, giving you discounts, free ski bus to take you to the different ski areas within the carousel, free entrance to museums and castles, also walks, guided tours, and recreational activities and tastings. Families might choose to stay in one mountain of the carousel, as their kids might be in ski school. But families with older kids not taking ski lessons, or just group of friends or couples, might want to purchase a combined ski pass Val di Fiemme/Obereggen + Dolomiti Superski (ex. 5+1 see the prices on the website http://www.visitfiemme.it/en/active-relax/snow/skipasses) and then ski one day in Sella Ronda area using the service of Ski Chauffeur http://www.visitfiemme.it/en/more-info/useful-info/mobility, otherwise if you prefer to be accompanied by a ski guide it can be organised on request paying an extra rate. Each mountain has lockers where you can leave your skis and boots so you do not have to carry them around. Tubby/sledge –For those that won’t ski or those who want to do something different, the new Absam sled track offers 750 me of fun, and the bobsleigh on rails at the Alpine Coaster Gardonè offers one kilometre of parabolic, jumps and breath-taking curves in the forests. Another option is to ask your hotel for a babysitter service. Marcialonga- classic meeting of the cross country community, a great event to attend in Val di Fiemme. Photo by Val di Fiemme. Romantic Mercatino Magnifico di Natale: in Cavalese in December on the weekends. Small Christmas market very nice with local produce and Christmas decorations, a great thing to do after a day in the slopes. You can read also the Must-Read Guide to Courmayeur here. The Hotel la Stua lies in the very centre of Cavalese at the corner with the Piazza dei Francescani, right at the beginning of the village. Despite it’s centrality, the hotel is quiet and peaceful, a calm corner with a well equipped garden where you can enjoy the view on the tower of San Sebastiano and the Lagorai Group while being enlighted by candles made of pure wax. Enjoy delicate meat and venison until late… with superfine local Grappas. Ask for the rooms with views to the Piazza and avoid the ones with rooms to the side of the building, so you have more light! Hotel Alpino – 3* (Varena) – Family hotel in the town of Varena – relatively nearby the ski center Latemar and also the cross country area of Lavazé Pass (the extended family is owner of Lo Scoiattolo, at the base of Pampeago (Ski Center Latemar – more below)- https://www.hotelalpinovarena.it/en – 3 km from Cavalese- the hotel has some new rooms that are tastefully decorated. Featured Image: Coming from the winding roads of Val di Fiemme towards the Brennero route direction to Trento – Photo by The-Ski-Guru. For more ski news at your fingertips, keep on reading The-Ski-Guru. 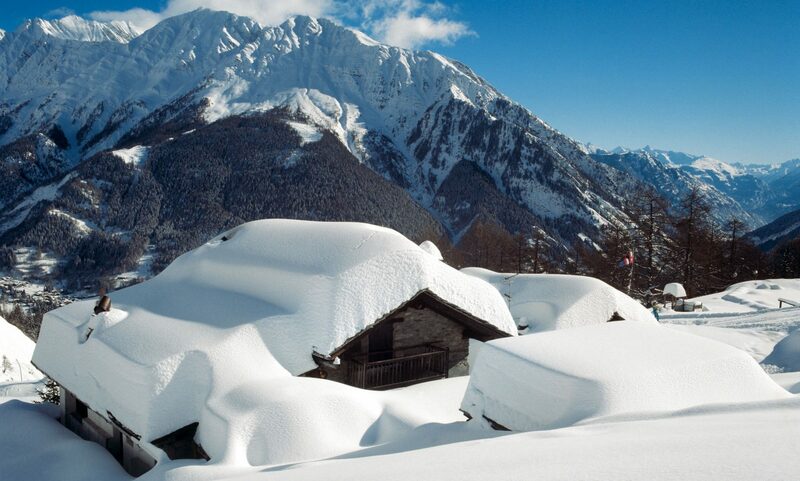 You can check also the Must-Read Guide to Courmayeur. Previous PostPrevious Telluride joins the EPIC pass in what is another chapter of the saga of two giants to get the biggest market share in North America. Next PostNext The Panoramic Mont-Blanc lift, that connected Aiguille du Midi with Punta Helbronner has fallen down and will be closed this coming summer.